The first solo album of a former child prodigy from behind the Iron Curtain, reaching artistic maturity. 3 musical eras, 7 composers, 2 centuries melting into a delicate, romantic feeling, like a story of a singing piano. 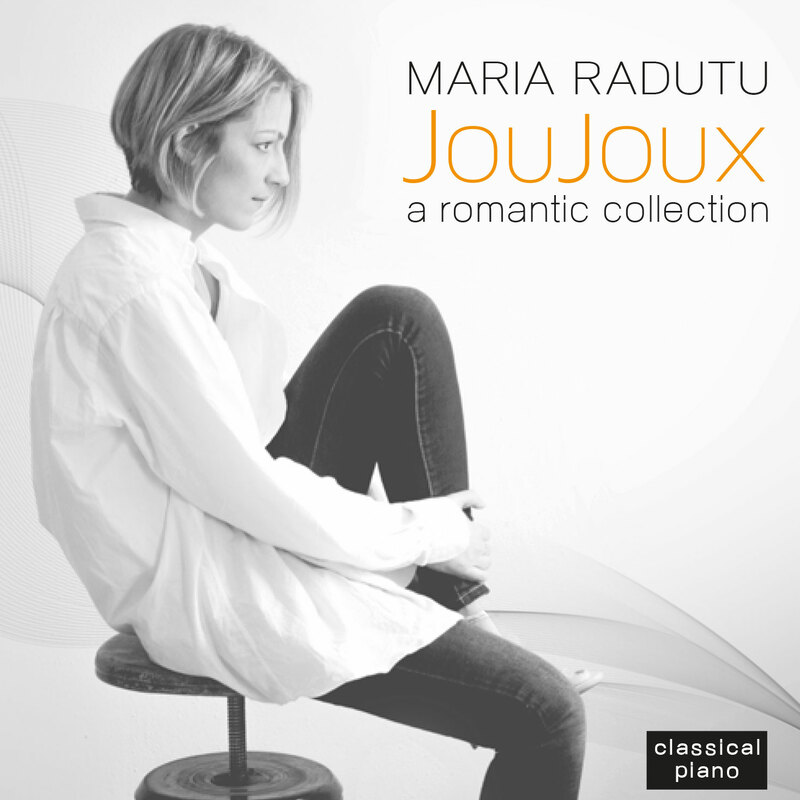 Joujoux was the start of a long and productive collaboration between the well-regarded sound engineer Georg Burdicek and Maria Radutu, as well as the first steps into programming albums, in which very different musical works melt under one single experience. The main work in Joujoux is the suite “Joujoux pour ma Dame” by Mihail Jora. Five little pieces, five little brain teasers, quoting five contemporary composers, to be guessed by the young lady that Mihail Jora wants to seduce. The first and the last ones are Ravel and Bartok, two extremely different composers who lived in the same period. Radutu enlarges this idea over the musical eras before and after, by playing a positive and energetic Chopin together with a very deep and emotional Liszt, as well as a fine, minimalistic Schönberg together with a groovy interpreted Ligeti.